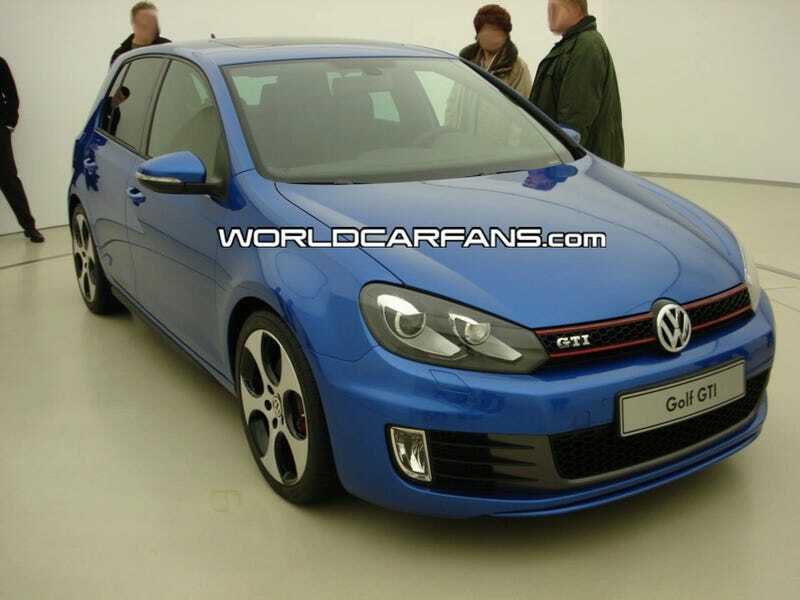 Although we've seen a two-door 2010 VW Golf GTI MK VI concept in Paris, the shady Finns at World Car Fans snagged these exclusive first shots of the four-door production model while market testing. Although we first saw a GTI Concept in Paris last year, these pictures appear to be the first production look at the four-door Volkswagen Golf GTI MK VI. You'll be happy to know it looks relatively unchanged — well, except for the fact the concept was a two-door model and this is, obviously, a four-door. Other differences include smoothed-out door panels and less prominent rocker panels. Powered by the same 2.0-liter four-banging TSI from the Scirocco, the GTI Concept gets power up to 207 HP, 10 neighing ponies more than the MkV GTI. Whether we'll also see the features from the GTI Concept such as Adaptive Chassis control, giving driver-adjustable electronically controlled dampeners, the XDS limited slip differential, and electronic stabilization.